Leading Manufacturer and Exporter of Hollow Section Pipes such as Square Hollow Section Pipe, Steel Hollow Sections, Structural Hollow Sections, Rectangular Hollow Section Pipes, Hollow Section and Round & Square Pipes from Mumbai. Our in-depth knowledge and industrial expertise enable us to offer a distinguished range of Rectangular Hollow Section Pipes. 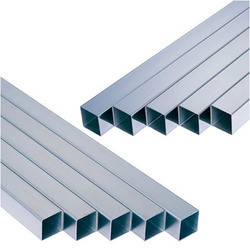 Our professionals manufacture this unique product by making use of high-grade raw material and high-end technology so as to maintain the set industry standards. To make a flawless dispatch from our end, our offered hollow section pipe is rigorously inspected by our quality inspectors against various parameters. This hollow section pipe is broadly acknowledged by our clients for its fine finish and sturdiness. Our comprehensive competence has enabled us to provide a wide assortment of best quality Round Pipes. Our range of pipes has high tensile strength and dimensional accuracy, due to the use of high-grade steel for their manufacturing. 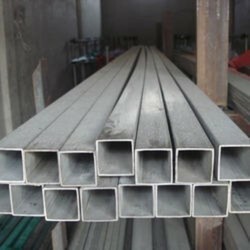 These pipes have intense use in construction for scaffolding owing to their stability, rust proof and high sturdiness. Moreover, with the use of skilled designers, we are able to render our products in accordance with clients diverse requirements. Riding on unfathomable volumes of industrial expertise, we are offering an excellent range of Square Hollow Section Pipe. Being a quality-oriented organization, we assure our clients that this hollow section is the best in quality. Our experts only utilize fine quality raw material, while manufacturing the entire range. Moreover, our offered product can be availed in a wide range of sizes and shapes, as per the requirements of our esteemed clients. 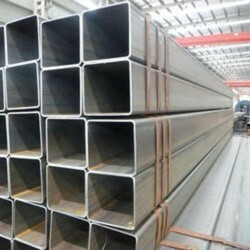 Being a well established organization, we bring forth an excellent assortment of Steel Hollow Sections. Our offered range is widely appreciated by our prestigious clients for their precise design and durability. 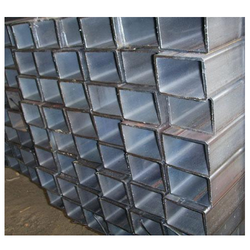 The offered hollow section can also be availed in various sizes, designs and other related specifications. 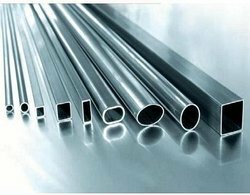 Our provided hollow section is manufactured by a team of adept professionals utilizing quality approved raw material and advanced technology as per set industry norms. We are dedicatedly engaged in offering a commendable range of Structural Hollow Sections. Besides being manufactured from high-grade raw material and latest technology, the offered product is inspected properly by our expert professionals. Owing to features like durability and sturdiness, the offered product is exceptionally valued by our precious clients. The offered product is available with us in a multitude of sizes and shapes at an affordable price. Our reputation in the market is largely attributable to our precision-designed Steel Hollow Section from our extensive collection of products. This hollow section is manufactured using excellent quality raw material and latest technology by our skilled professionals. In order to ensure quality, this hollow section is stringently tested on various parameters by our experts. Apart from this, remarkable quality and sturdy structure increase the demand of our offered range in the market. 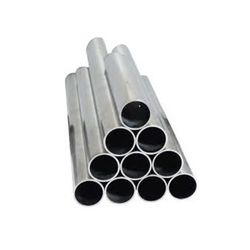 Looking for Hollow Section Pipes ?